Well the first day of spring arrived today out of nowhere, up at the crack of dawn and off to Cleveley Bridge, near Forton just off the M6/ A6 in Lancashire, arrived to find a lovely morning. Temperatures eventually reached about 16 degrees, if you believe the car temperature gauge, but for sure it was mild – no coat needed. 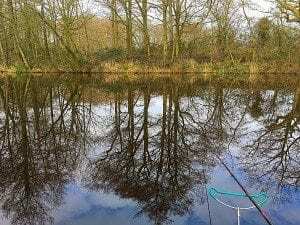 Notes : Sweet flavour on maggots, fished peg 6 on The Canal mainly because its the widest spot and with Barney with me an amount of pacing back and forth can disturb the near bank ! Note for the future the bailiff recommended pegs 16 – 18, I imagine these are great summer pegs as they look shallow. The carp were patrolling the far bank and very active, I saw a shoal of 20 in peg one right up against the end of the lake. My usual approach for silver fish brought immediate results, firing a few maggots three quarter of the way across every cast, and this kept them coming all morning. Fished till about 12.30 for about 20 fish, quite a good morning. 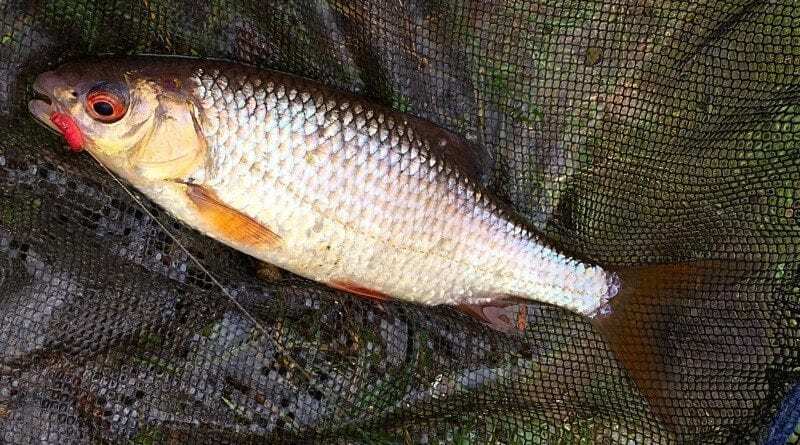 Eventually caught Roach, Rudd, Skimmers and a bonus trout – had one carp pull at the net and hooked another that i could hardly move on my light float rod, I wonder if there are cat fish in here it seems to sit tight shaking its head. 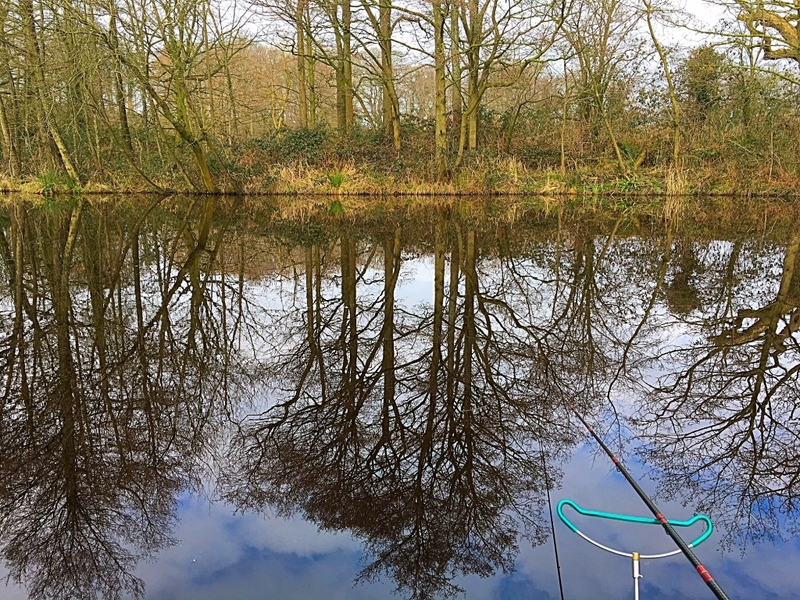 Note to self was using Drennan barbless hooks to nylon 18’s to 2lb line – very odd short hook length, which i’m sure resulting in a snap off on what was only a smallish carp, I should have been able to land a fish 3 times this size easily with this set up and a little care. Interesting : Speaking to the carp lads fishing the specimen lake it had been quiet, sounds like Mainline “Cell” boils are the main approach. Apparently a lad had turned up and had 4 carp fishing from “The Point” is a short session – One to remember for the summer. Also : No food of drinks available here – remember to bring food ! Finally : We will be back soon, a fantastic fishery with no silly rules allowing you to fish your favourite method and bait, so long as you keep it sensible.